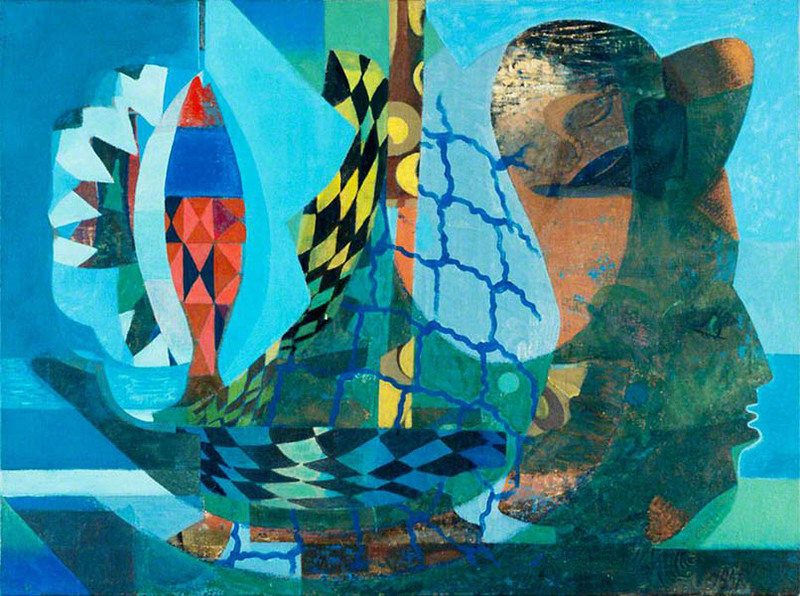 Eileen Agar was a British painter and photographer, best known for her association with the Surrealist movement and her paintings and sculptures full of imaginative playfulness and marine motifs. I’ve enjoyed life, and it shows through, Agar said at one her later interviews, when she was already an accomplished artist. Agar has introduced new elegance and new, unexpected forms through her art and she is appreciated not only as an artist but also as a perfect example of a modern and strong women who wasn’t afraid to show the depth of her wildest feelings. She liked to describe surrealism as the magical intertwining of reason and imagination. Eileen Agar was born in Buenos Aires, Argentina but she moved to London with her parents in 1911. She was a classically trained painter – she attended the famous Slade School of Fine Art in London and after the graduation, she moved to Paris, where she continued her studies. While living in Paris, Agar met the surrealists André Breton and Paul Éluard and became puzzled by their works. She made a couple of friendly relationships with people belonging to the circle of surrealists and she started exhibiting with them in England and abroad. In the 1930s, the artist’s work was focused mainly on natural and found objects arranged in a spontaneous, intuitive and light-hearted manner. One of the greatest examples of such work is her Bum-Thumb Rock, which is a collection of photographs of an interesting rock formation. Even though her education was related to painting, Agar was adventurous and innovative, passionate about experimenting with new materials and techniques, taking photographs and making mixed media pieces. During the mid-1930s, Agar began renting a summer house at Swanage in Dorset. She met Paul Nash while in Dorset and two of them got engaged in a powerful relationship. Nash has also introduced the concept of the found object to Agar and they made many collaborative pieces, such as Seashore Monster at Swanage. Agar was also friends with Picasso and his muse Dora Maar and they used to spend summertime together. 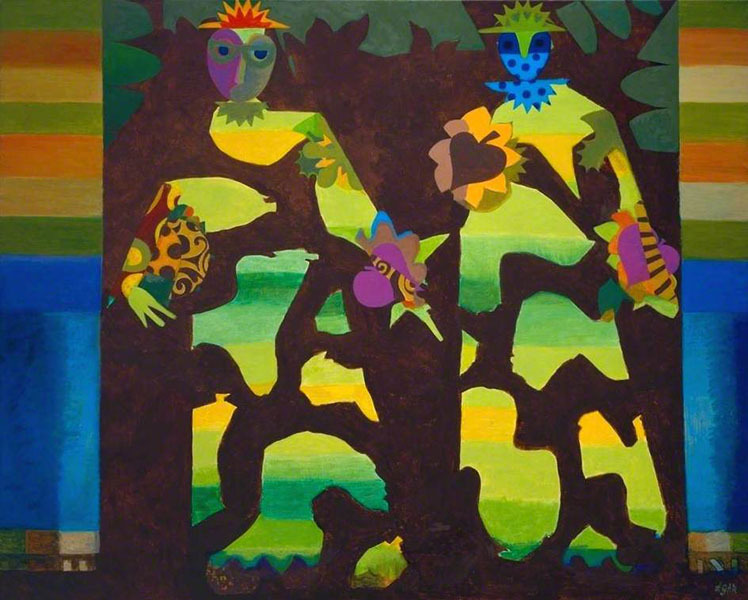 By 1940, thanks to her many acquaintances and a unique nature of her work, Agar’s pieces started to appear in surrealist exhibitions all over the Europe and the United States – in Amsterdam, New York, Paris and even in Asia, in Tokyo. Between 1946 and 1985, Agar had around 15 solo exhibits and by the 1960s she started producing tachist paintings mixed with unexpected surrealist elements. Around 20 years later, in 1988, she wrote and published her autobiography called A Look At My Life. 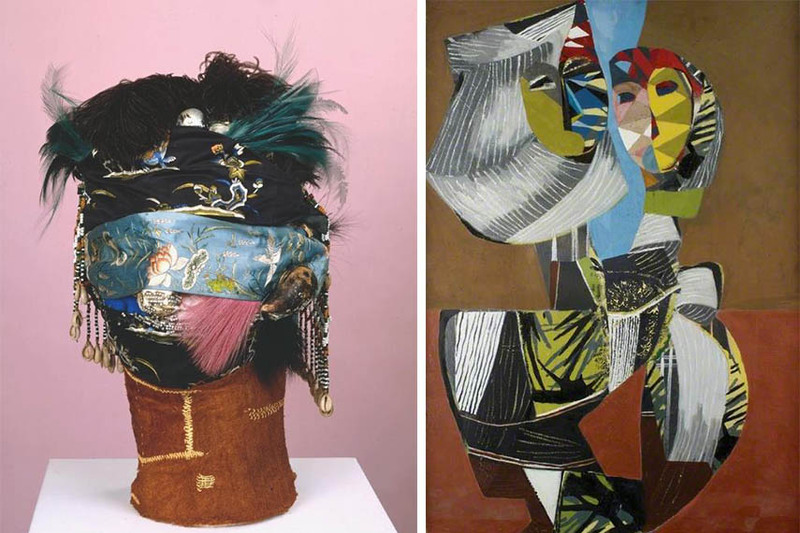 In 1990, Eileen Agar was selected as a Royal Academy Associate, which was a great honor. 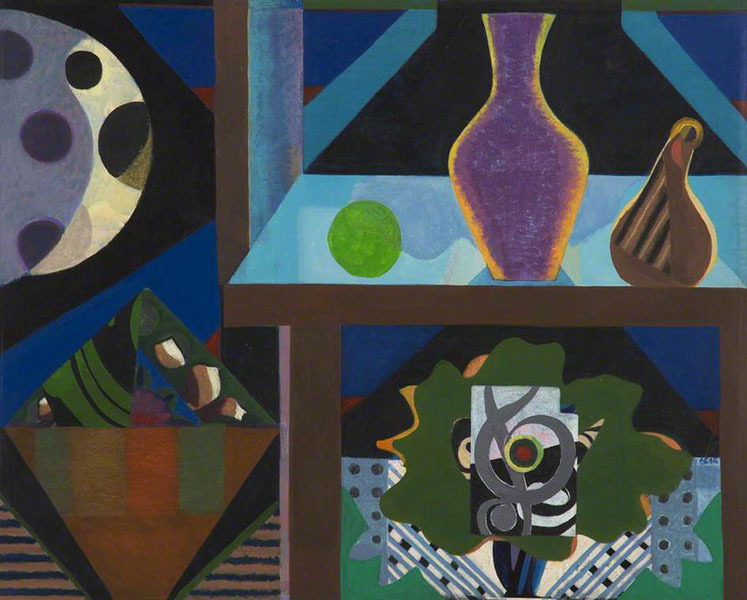 Nowadays, Agar’s paintings and sculptures can be found in numerous collections including Derby Art Gallery, Bradford, and the UK Government collection. Angel of Anarchy is the most famous Agar’s piece and a great representative of her entire oeuvre. It is a plaster cast sculpture and it represents a head covered with a lot of found materials and objects such as silk, feathers, seashells, African beads and precious stones. Some of these elements inevitably suggest human facial features, while others appear more decorative. For instance, feathers resemble hair or perhaps elaborate decorative items for hairstyling. The same goes for the patterned fabric, which might represent human skin. Generally speaking, this sculpture evokes a strong sense of ambiguity and creates an atmosphere of seduction and submissiveness. Anger of Anarchy was clearly influenced by African sculptural practices. However, unlike many other British sculptors influenced by African pieces, Agar was working primarily in plaster, because she felt that bronze was too expensive and unsuitable. She also didn’t make any preliminary drawings – she simply used found materials, which she applied directly onto the basic frame of the sculpture. Her working procedures rarely contained too much precision and Agar’s spontaneity became one of the trademark qualities of her work. Agar’s great contribution to the world of surrealism is something she will be always remembered for. She was one of the few female painters who was truly accepted by a surrealist circle in a cultural world dominated by men. When it comes to Agar unique artistic skills, she is known for her ability to find connections between apparently unrelated forms and materials, which is an essential skill in order to build aesthetically pleasing, yet unusual artworks. 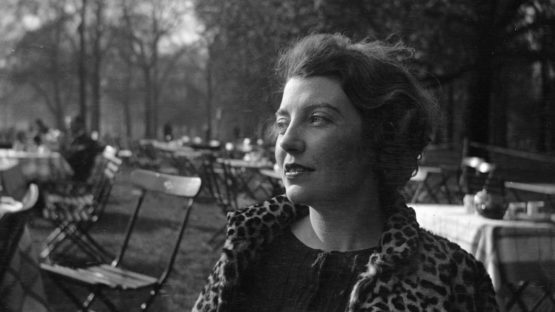 Eileen Agar lived and worked in Paris, France.